Discussion in 'Upper Lot/Entertainment Center' started by 12th Man, Mar 13, 2016. William, Aaron, Chris Galindo and 2 others like this. 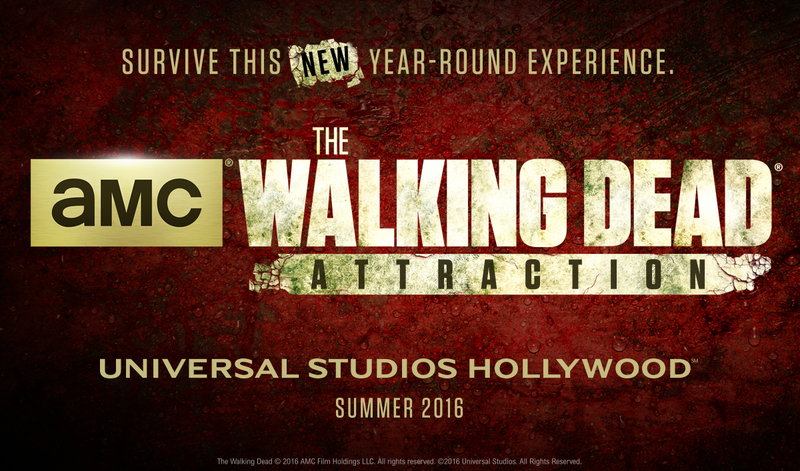 Alright so with this announced, does this rule out Walking Dead at HHN this year as a stand alone maze, or included as a part of it? Talk about disappointing. How exactly will they keep this attraction from feeling outdated once a new Season comes out? They should have done something original within TWD Universe, IMO. This attraction seems fine but i do hope there will be more in the future like new Dark rides and Roller Coasters. Im curious if this is included with park admission. The one in Germany is an up-charge attraction. Universal has gotten stupid with their prices, but I doubt if they would be THAT stupid. Well, I'm kinda looking forward to this. That means I can get my year-round haunt fix again so there is that. This will be good for HHN so that they won't have to make an announcement every year about it. Im still puzzled how this would take TWO YEARS to work on this Oh John Murdy. I'll be even more puzzled if half the maze consists of black, unthemed hallways like most of his mazes. Ryan and Aaron like this. It's going to be part of it. What a HUGE middle finger that would be to the HHN fans if there were two TWD mazes. So this is Universal's follow up to Potter? William, Imdbman, Ryan and 3 others like this. I just don't understand how you can push out rides like Despicable Me and Transformers only to follow up with a Walking Dead maze. Universal's not going to change if they continue to push out "attractions" like this. What a shame. ParkscopeJoe, Ryan and malice like this. I don't see this lasting any more than four years...five or six MAX. Very interested to see how Murdy will hype this up at the Wondercon panel in a few weeks. Hey well at least it's two new things this year ...next up life of pets followed by Nintendo world it all in good in hood. They're probably keeping the Globe theater for any future Harry Potter related events, no? Like those Harry Potter weekends with the HP cast could do a Q and A in there. Something tells me we will never see this type of an event on the west coast. Trim that about 2 years shorter and I'll be pleased. I think this comes with a dual cost saving measure for HHN and that is why they do it. Its a backdoor on advertising an additional attraction for HHN with very minimal expense. Kurzweil must be saying "Sold!" If anything I'm glad they're doing this as an HHN fan. The show's popularity isn't going to die anytime soon so they might as well do this. Hopefully this means that more money can be allocated for a crazier HHN this year.